Have you heard of H&H Marine? Located in Maine, they are the builders of Osmond Beal Designs. 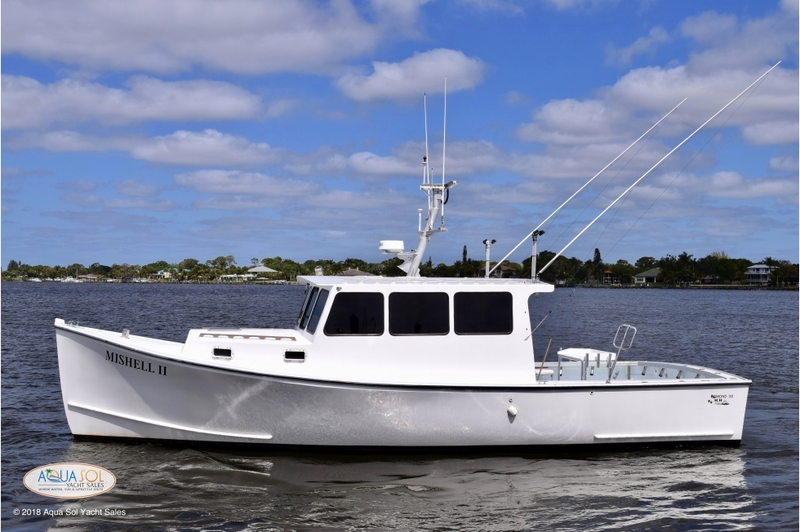 This 2003 Osmond Beal 38' is a beautiful example of their work. Although there may not be many of these in Florida, this is your chance to purchase one here locally! Or she can be shipped to you. As you'll see from the photos she is ready to work. With lots of rod holders and open space, no matter what you're catching, she can do it. And if you want a good reliable boat for cruising, her open interior offers you a blank template to design exactly what you need. Either way she is a great hull with lots of upgrades including a new Cummins engine in 2010. Give Lars a call to schedule a time to see her at 561-303-5663.